I hope everyone is enjoying their Labor Day weekend. We have been busy by visiting with family and friends. Football is in the air, er on the tv, so I figured it would be a good time to share an exciting sneak peek at our wedding day. Our photographer sent over a special pre-preview on Friday of some of the wedding photos. I loved her blog post as it shows just how much time and effort goes into producing a work of art such as photography. I am anxious to see the full set of photos but know that the wait will be well worth it. 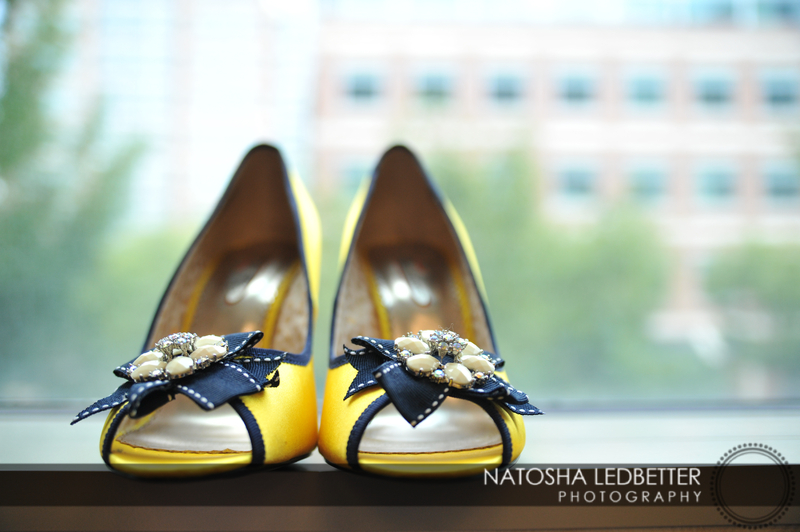 Luckily, Natosha sent along this teaser of the over 5100 pictures she took during our wedding weekend. Here is the link to the full teaser, but just a few of my favorite. The shoes. I love this picture because you can see how much fun we had throughout the entire day. I don’t think I stopped laughing, even during the ceremony. 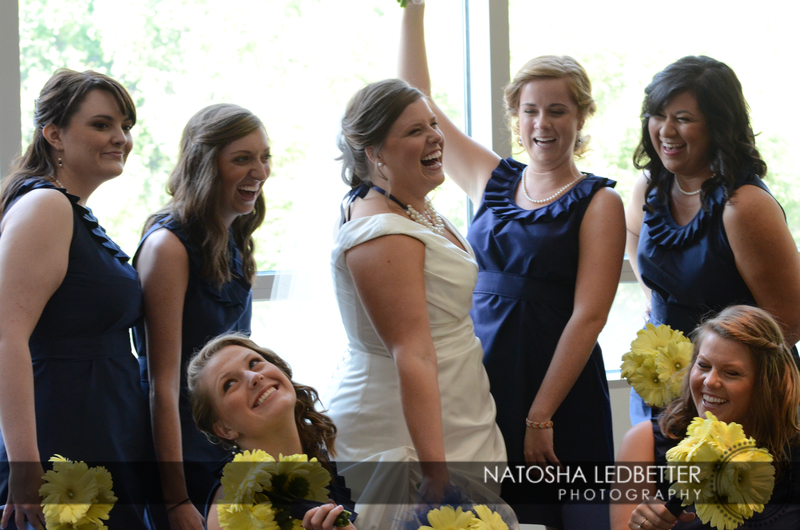 I love this of my ladies having a good time during our photos. So excited to see the full set in the coming weeks! I love your shoes! Where did you get them from? I got them from DSW. They are Poetic License.